Download "Impact effet de serre (Mt eqc)"
1 How to assess the impact of GHG? The Amount is nt a sufficient criterion From the amount actually issued how you can take stock of the impact of different GHG? 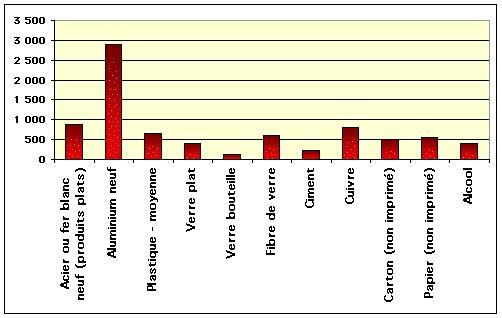 Impact effet de serre (Mt eqc) CO2 déforestation 18,1% Quantités émises (Mt) CH4 0,8% N2O 0,04% CH4 14% CO2 déforestation 14% N2O 9% CO2 fossile et ciment 63% CO2 fossile et ciment 81,1% or how to switch from the tonne to t eqco2 or to t eqc? 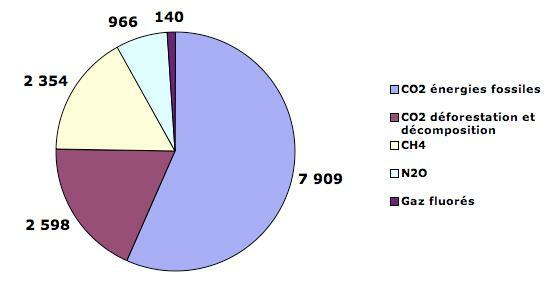 2 We begin by saying that the different greenhouse gases are not all equally effective to hold the infrared radiation and thus act on the climate For every greehouse gaz we have the notion of «forçage radiatif», which define the surplus of the energie (in W/m2) sended to the earth by a given quantity of gaz in the air. To know the lenght of stay of a GHG into the atmosphere and his forçage radiatif. To know the effect of a supplement of GHG. The gaz are «concurrents» between them? Determination of the GWP. It should therefore be able to compare GHG between themselves. 4 To quantify the human emission how to do? The GWP is the unit of comparison of GHG.The GWP = how many times CO2.The time period is generally considered equivalent to 100 years. In practice, we have approached the concept of equivalent CO2, where CO2 is the gas referent than other greenhouse gases.. Scientists have calculated the effect gained by the presence of these gases over a certain period of reference. 5 Thanks to the equivalent Carbon we can finally estimate between them the GHG! 6 Emission Factor Definition Coefficient which allows you to convert data of activities in GHG emissions expressed as carbon equivalent. It is determined from the data of life cycle analysis, or measures taken replicable. What s a life cycle analysis (ACV) multicriteria? 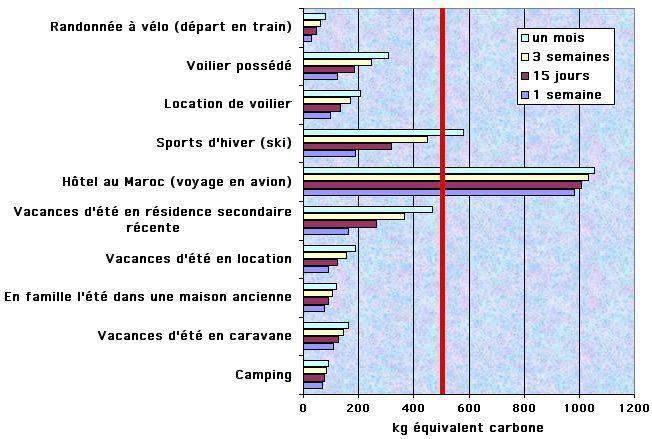 Most of the emission factors used in the Bilan Carbone were developed from data results from the cycle of life. 10 How to Use an Inventory The compilation of an inventory of emissions could be used for knowledge of the territory: an estimate of the timing of emissions can become functional for the preliminary planning of interventions, particularly using GIS techniques, identifying further areas at risk "better planning the distribution of new sources. How to draw up such plans and programs? The emission inventories are said as a powerful and reliable tool, both in the plans to restructure the air quality, both in general to integrate these with other planning, such as urban traffic plans, energy plans, the procedures for Environmental Impact Assessment (EIA) and the General Plans Regulators (PRG). Valeur de normation pour les indicateurs environnementaux RECORD 01-1009/1A juillet 2002 RECORD ETUDE N 01-1009/1A VALEUR DE NORMATION POUR LES INDICATEURS ENVIRONNEMENTAUX RAPPORT FINAL juillet 2002 E.
FOURTH SESSION : "MRP & CRP"